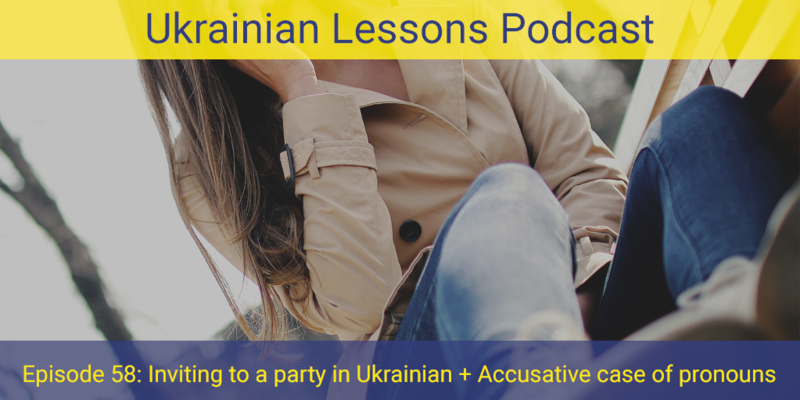 In this Ukrainian Lesson, listen to the phone conversation about inviting over to вечірка – a party in Ukrainian. In this context, you will learn some peculiar rules about using the Ukrainian pronouns in Accusative and Genitive cases. discover what’s a party in Ukraine like!